Hemel Hempstead, a beautiful and historic new town in Hertfordshire, is just 24 miles northwest of London. Conveniently located by the M1 and A41, Hemel Hempstead isn’t far from popular landmarks like Warner Bros Studio Tour London (15 minutes), The Galleria (24 minutes) and Woburn Safari Park (32 minutes). At MET Coaches, we have served businesses, public institutions and residents of Hemel Hempstead since 1995, providing quality coach and minibus hire services at competitive rates for corporate events, private trips, schools, colleges and sports teams across Hemel Hempstead. With a large fleet from 16-seater minibuses to a 70-seater large coach, among them luxury coaches equipped with an onboard kitchen, toilet and a minibar, you know for sure that you can expect an excellent transport service that is fit for purpose. Just let us know the number of passengers you have and your destination, we will find the right vehicle to suit your requirements. Socialising with your corporate guests outside of the workplace is a good way to build rapport. With us taking care of your transport needs, you can start to network and bond with others en-route, fostering a positive atmosphere even before you reach the venue. We work with your corporate event planner to make sure you experience a smooth and comfortable journey. For corporate event planners expecting guests from abroad, count on us for a reliable airport transfer service. We can provide airport transfer services between Hemel Hempstead and London Heathrow, Luton and Stanstead. Impress your guests by showing them that you thought about their needs. At MET, we provide transport to some of the best corporate venues near Hemel Hempstead including The Watermill Hotel which is just 30 minutes away from London Luton Airport. This 3-star hotel provides various meeting rooms to suit a range of corporate events and has a capacity of 500 people. For over 20 years, we have provided reliable minibus and coach transport for any type of school trip. Whether it’s a trip to a major museum in London or an inter-school sports competition, we offer the ideal transport solution for trips with children with an emphasis on safety from start to finish. Our drivers receive regular training and are DBS-checked so you can rest knowing you and your pupils will have a safe journey. There are quite a few venues that are great for school trips around Hemel Hempstead. One example is the Herts Young Mariners Base which is just 35 minutes from Hemel Hempstead. There, students will have fun doing land- and water-based physical activities and will learn valuable life skills through problem-solving exercises. Our reputation for working with schools is strong. Our reliable driver will take your group there, wait for you, and take your group back after the trip. From hen dos and weddings to local sports team matches, all are significant events that require reliable and comfortable minibus or coach transport. With us, you won’t need to rely on public transportation, book multiple taxis or worry about guests getting lost on their journey. We can get you and your group to your event location together and on time. 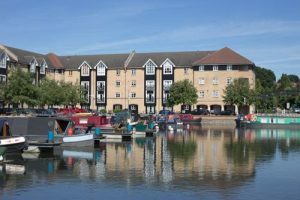 There are many luxury manor houses and activity centres around Hertfordshire, north London and Bedfordshire which are easily accessible from Hemel Hempstead. For somewhere a little closer to home, the much-loved Snow Centre in the centre of Hemel Hempstead offers indoor snowboarding and skiing sessions, perfect for children-friendly days out. The depot at MET Coaches is in Watford, just a short distance from Hemel Hempstead, which is why we can provide excellent transport solutions to businesses, institutions and families across Hemel Hempstead at a highly competitive rate. Our team will plan the best route for the journey and will pick you up and drop you off at a pick-up point of your choice. Give us a call today on 01923 247765, and we will take you to your events around Hemel Hempstead, across Herts and outside of Herts, safely and conveniently.